All the layers in this one just gives it a beautiful depth! This is one of my favourite quotes, and a wonderful picture to illustrate it with. Great composition, too. From the green trees to the snow. this is a really sensitive presentation of these mountains. stunning! Beautiful composition and depth. This is definitely one of my favorites of yours! Another great capture. Like the cold rough colors. majestueux paysage, et belle photo. Hi everyone, I really enjoyed reading all your comments on this picture. 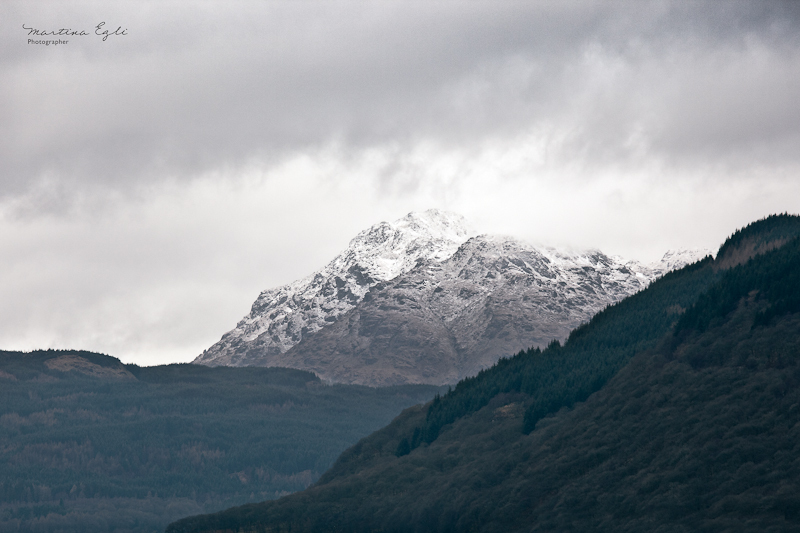 I have to say every time I go to Scotland I’m drawn to this mountain. I’m going to finish off this series with a picture I took last year in slightly better weather. Hopefully you will all enjoy a better view of it. Beautiful landscape. I like the cold colours.